Back on the Bruce Highway heading north, our first stop was at a garage to pick up some supplies. Outside was a stall selling pig ears and roo tails for dogs to chew. At Childers, a town with several 19th century buildings, the road became parallel to the railway which stayed with us much of the way into Rockingham. The earth became redder and there were many more sugarcane plantations with warning signs of large trucks emerging on to the highway. 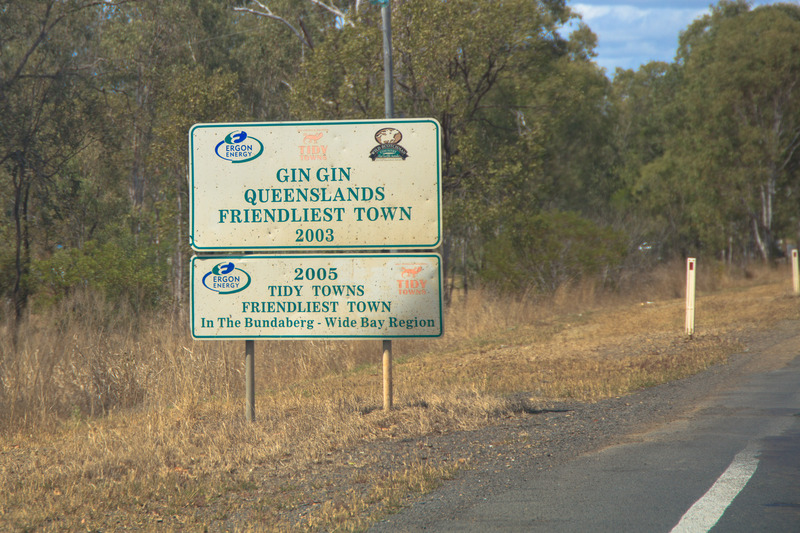 I could not resist a stop at a town called Gin Gin and it was coffee time. The Travellers’ Rest not only serves good coffee but has also won several awards in The Great Australian Pie Competition. James could not resist buying a Sea Scallop pie, not one we could find at any of our local markets’ pie stalls. 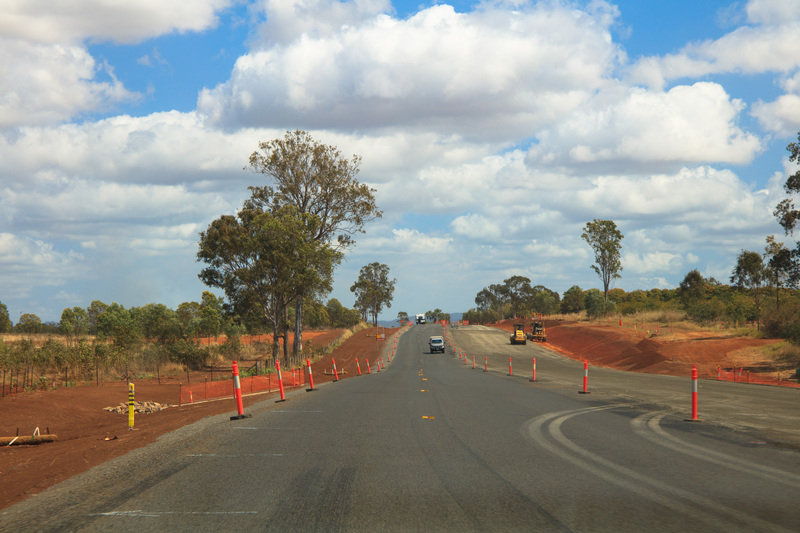 Continuing, we encountered yet another set of road works; many sections of the two-lane A1 are currently being widened. To keep us awake there were yet more trivia questions, only one of which we got right. North of Miriam Vale, smoke suddenly appeared behind us and a fire service van was making its way towards it. We had not noticed anything when we passed that point a little earlier. Lunch was at a rest stop near Benaraby where you can camp for 20 hours, allowing an overnight stop which many of those further south do not permit. Drinking water is available, toilets and a shower. The stop is on the banks of the River Boyne which made James feel at home. Past Caliope, more smoke drifted over the highway. The temperature reached 29 degrees today. Just outside Rockingham was a sign warning that some trucks were carrying explosives. We found our motel very easily after passing two bull statues (there are seven in the town) in under a mile. After checking in we wandered down to Fitzroy River. 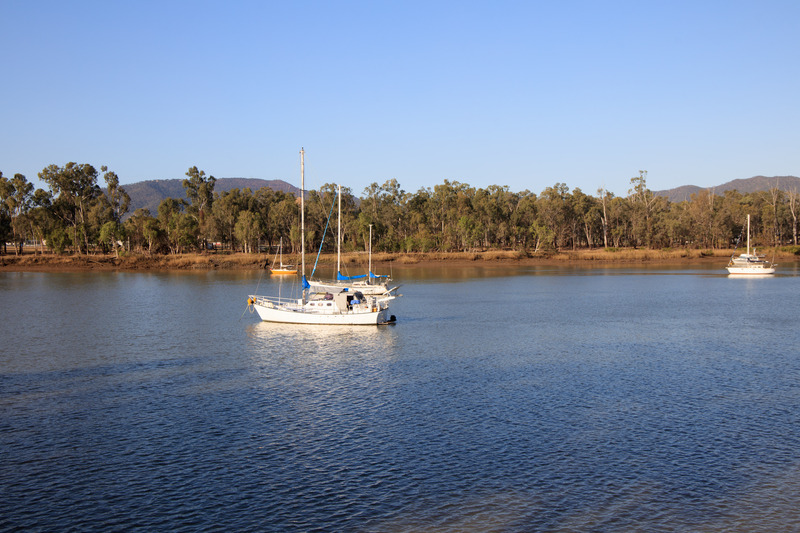 It is the largest river in Queensland and is still tidal at Rockhampton. The town was founded in the mid 19th century and gold, then beef cattle have ensured its prosperity. In the city centre and riverside there are several 19th century buildings. 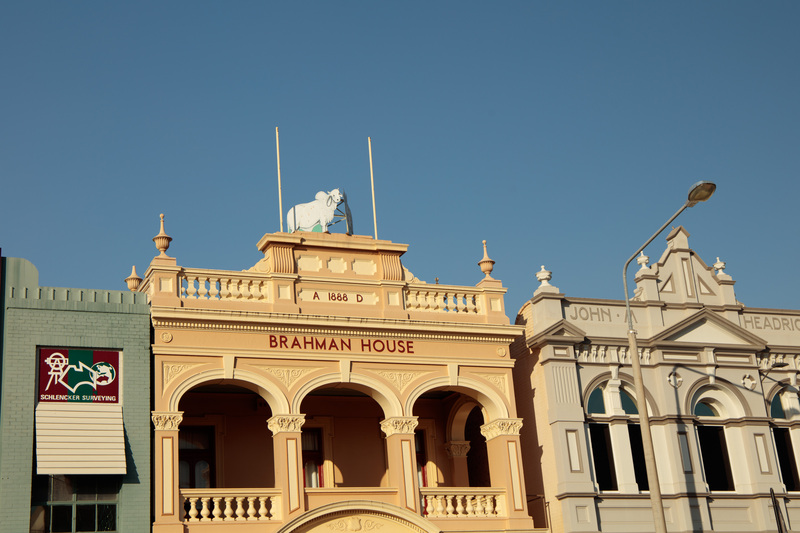 There is even one with a sheep statue on top to counteract all the bulls. 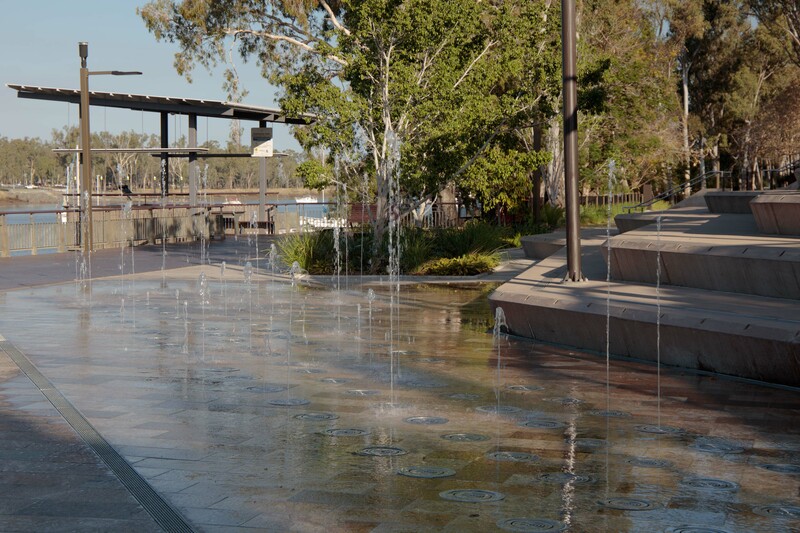 The riverside has been turned into a place for walks, there is a children’s playground and some sculptures and water features. 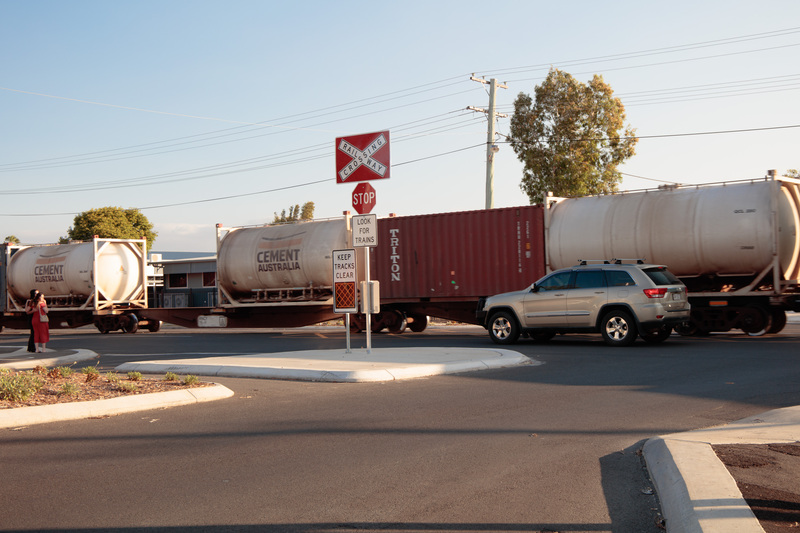 Trains run on a track down the middle of one of the roads in town with nothing to separate them from vehicles or people. We had an aperitif in an Irish pub which was very quiet other than three motorcyclists and another couple who came in. The man was on his phone and I very quickly picked up a Northern Ireland accent although modified a little with Australian. When he had finished his call and we were on our way out, we asked him where he was from and he answered; ‘County Down 48 years ago’. He and James new several places they had in common. He and his wife were on a slightly shorter journey than ours, but we parted wishing each other well with our travels. 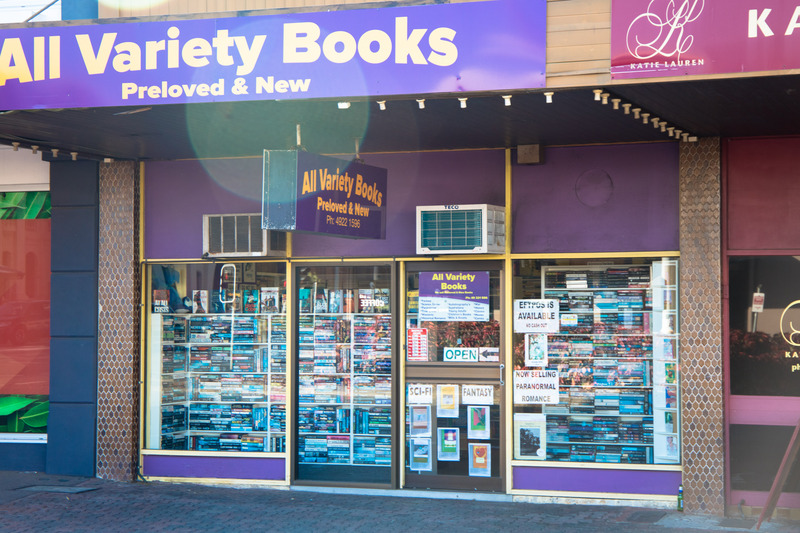 There is a bookshop in town called ‘All Variety Books’. It was still open when we passed so we popped in. Although outside it said they sold new and secondhand, the majority of the books on display were second hand paperbacks. Most were fiction, categorised into male & female authors, sci fi, fantasy and paranormal. There were very hardback or non-fiction books and i did not find anything that grabbed my attention. We had our evening meal at the Great Western Hotel, a couple of blocks away on the recommendation of the motel owner. 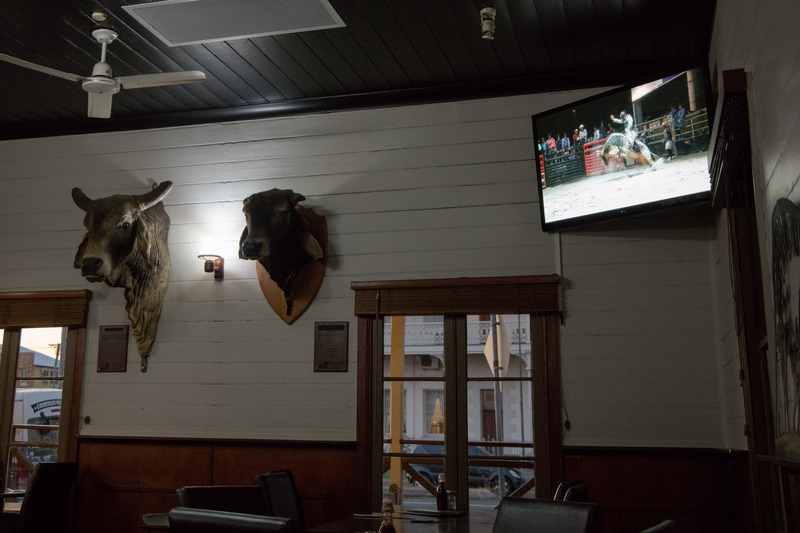 Steak was a must in this town and the room was decorated with mounted cattle heads and video footage of bull riding which takes place twice a week. 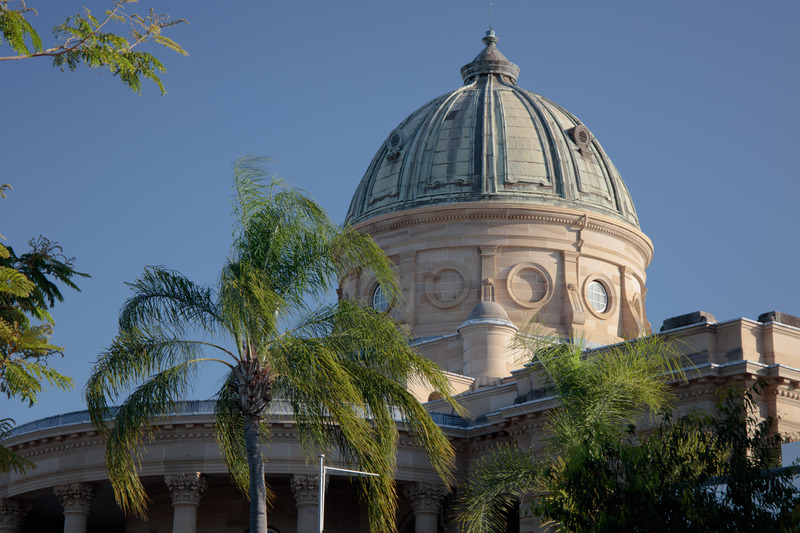 There are more than 2.5 million cattle within 250km raduis of Rockhampton. We are now on the Tropic of Capricorn. One of the things I find most disorientating about being in the southern hemisphere is not cultural or language differences or the landscape but the sky. 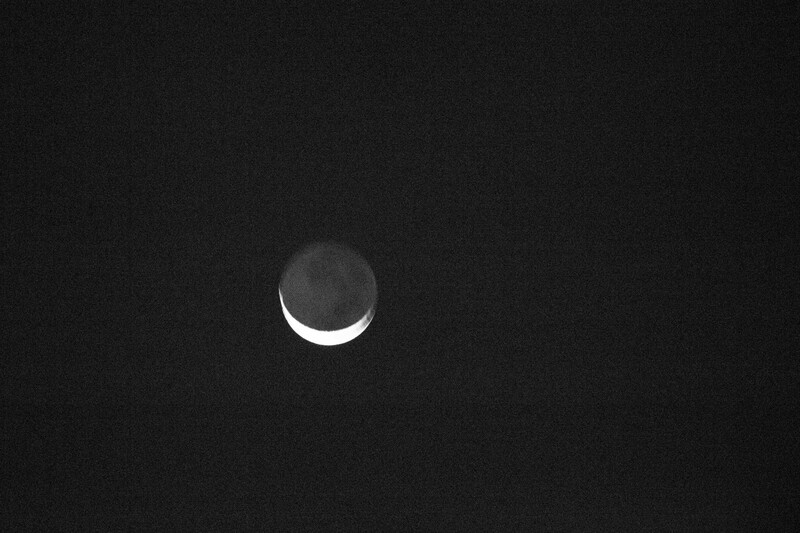 I still find the emptier southern skies slightly strange, despite having seen them numerous times but tonight’s crescent moon was even more striking with the crescent appearing at the underside of the sphere, not at the side.